The Kretzer Music Foundation is a 501(c)(3) non-profit organization dedicated to bringing the gift of music to children and seniors. We are passionate about music being a part of every child’s life and believe that any child who desires it should have access to a musical instrument, therefore positively enriching lives. We provide performance opportunities where young musicians can share their talents with hospitalized children and seniors, while honing their skills. Scholarships are provided to children who cannot afford music lessons and the foundation has donated more than 40 pianos to needy children and children’s charities. Become a Member or Make a Donation and help us bring the gift of music to children and seniors. Music for the Mind concerts are held every other month on Tuesday at 7:00 pm in the Harriet Theater at CityPlace. 190 concerts have raised over $450,000 for music in our community. Tickets are only $15 for adults and $5 for students! Call 561-748-0036 for more information. Kretzer Kids, outstanding young musicians, perform over 50 concerts a year in nursing homes, assisted living facilities and in children’s hospitals. Donated $ 61,000 to Adopt-A-Family for Project Grow along with 6 Yamaha Keyboards for formerly homeless children. Donated $ 20,000 to Faith’s Place, an amazing after-school music program for inner-city children. Provided scholarships for 6 students to participate in Young Singers of the Palm Beaches and paid for 30 children to perform in a Music Festival at Universal Studios. 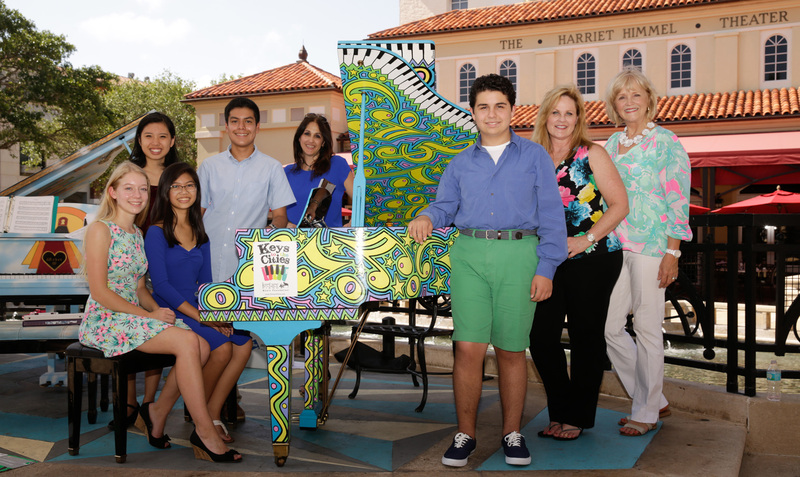 Keys to the Cities Professional artists whimsically painted 18 pianos which were placed on public street corners from Jupiter to Delray, to be enjoyed by passersby. Forty open-air concerts were presented during the two week event. The event won the Bernays Award for Best Special Event in the South Florida area. Provide scholarships for weekly piano lessons and loaner pianos to deserving students. Physicians Talent Showcase concerts featured a total of 40 talented medical doctors in an all-doctor band, pianists, singers and dancers who raised over $210,000 for children’s charities. Music can have a powerful influence on a child’s development from a very young age. Singing or playing lullabies for your baby is the first step to a lifetime of musical enjoyment and expression. It is an important journey, one with incredible benefits.